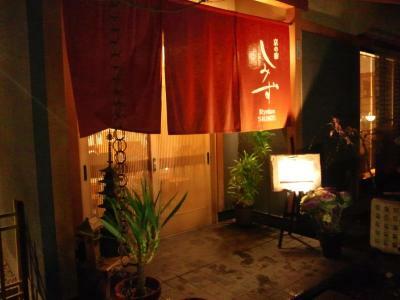 Lock in a great price for Ryokan Shimizu – rated 9.2 by recent guests! It was a quiet clean and cozy ryokan. I was happy with all aspects of the stay. 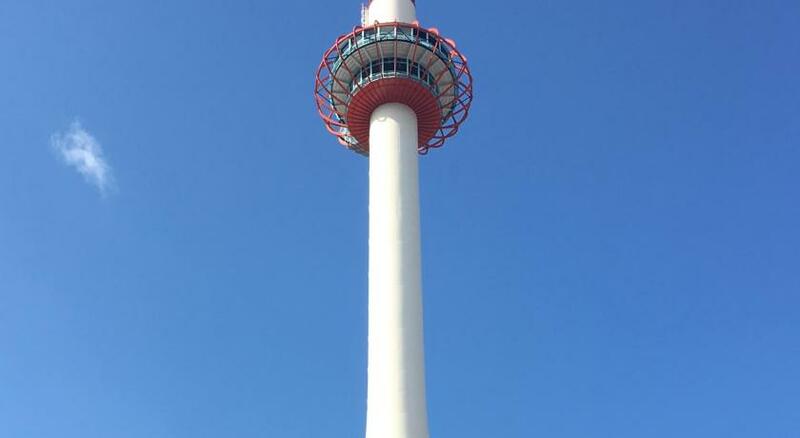 The staff was very friendly and gave us all kinds of information about what to do in Kyoto. 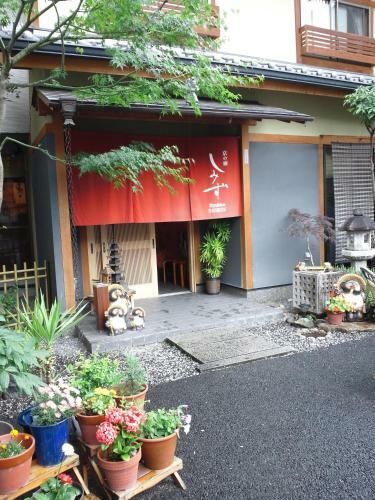 This is the perfect place to stay if you are looking for a budget ryokan. The rooms were clean. It was also helpful being within walking distance of Kyoto Station. Very helpful and friendly staff, could not do enough for us. We were given recommendations on the main attractions and the best method to travel to them all. Maps were provided highlighting the attractions. The onsen (Japanese hot bath) was available for private bookings which we enjoyed each night. We would happily come again. The place is in the authentic Japanese style. There was a private hot bath, we used it twice. The staff was extremely nice and friendly. They gave us many useful advise regarding sightseeing. They took a picture of us and gave it to us as a souvenir. Staff is very attentive and proactively give services and information. We feel warm and feel like home. Love the private onsen which makes us relax. The room is nice and clean. Walking distance from kyoto station. 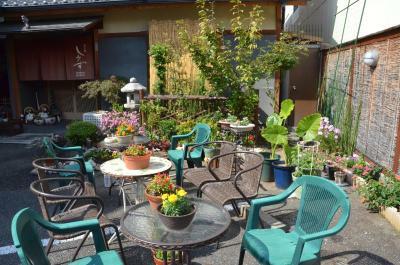 Everything was excellent, staff, good location, clean, the most important thing is the feeling of Japanese style. A truly excellent place if you want to stay in an authentic Japanese environment. The rooms are beautifully arranged and the staff is wonderfully friendly. The onsen bath is a great experience. Highly recommended. The staff were extremely friendly. If you’re traveling on a budget and can’t afford a higher end ryokan, this is a great experience. Beautiful, historic wooden building but with toilet & shower in the room. Good sized room for Japan ( it tiny like the city hotels) with a good kettle & small fridge. The staff was SO wonderful! Gave good advice on what to see and how to get there. Brought a drink to the room for us when we returned in the late afternoon before dinner. They even had a calligraphy class but we got back from dinner too late. Held our luggage after checkout & even loaned us umbrellas that came in very handy!! It’s in a little neighborhood alley, but super close to the main Kyoto station. I can’t say enough positive things! It was a lovely place to stay in a lovely city! I was traveling with my teenage daughter and we both loved the experience. Ryokan Shimizu This rating is a reflection of how the property compares to the industry standard when it comes to price, facilities and services available. It's based on a self-evaluation by the property. Use this rating to help choose your stay! 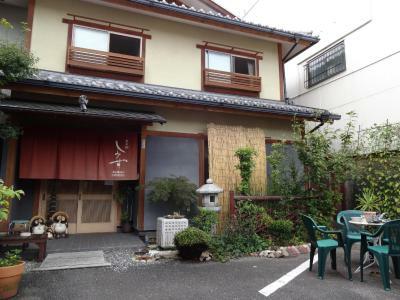 About a 7-minute walk from JR Kyoto Train Station and a 3-minute walk to Nishi-Hongan-ji Temple, Ryokan Shimizu is a nonsmoking property that provides air-conditioned Japanese rooms with free Wi-Fi and a private bathroom. Rental bicycles are available at an additional charge. Guests at Shimizu Ryokan can experience traditional Japanese-style sleeping arrangements, with futon bedding on a tatami (woven-straw) floor. Rooms include a TV, a fridge and a tea maker. The en suite bath has toiletries. Higashi-Hongan-ji Temple is a 5-minute walk away, while Gojo Subway Station is a 10-minute walk. Sanjusangen-do Temple is 1.2 mi away. On-site parking is possible, for a fee. Housed in a traditional “machiya-zukuri” building, the hotel includes a small garden and a hot bath that can be reserved for private use. An internet PC can be used at the lobby, for a fee. This hotel does not have a restaurant, and no meals are served on site. A variety of restaurants, supermarkets and convenience stores are located within a 10-minute walk. 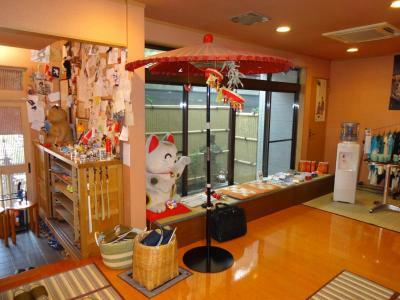 뀐 Located in the real heart of Kyoto, this property has an excellent location score of 9.1! When would you like to stay at Ryokan Shimizu? Features tatami (woven-straw) flooring and Japanese futon bedding. Includes a TV, a fridge and a tea maker. The en suite bath has toiletries. Please note that all rooms are strictly nonsmoking, and children including infants cannot be accommodated. House Rules Ryokan Shimizu takes special requests – add in the next step! Smoking is strictly prohibited in the property. If guests are found smoking within property premises, they will be asked to leave immediately. No refunds will be given. Please note that this property cannot accommodate solo travelers. In addition, 2-person rooms can only accommodate 2 people, and 3-person rooms must be booked by a group of 3 guests. Children including infants cannot be accommodated at this property. Guests with children will not be permitted to check-in, and will be charged cancelation fees. The property will not be able to provide a room for guests checking in with children on the arrival day. The hotel has a curfew at 00:00. Guests cannot enter or leave the hotel after this time. When settling the bill, the hotel will accept cash only (in Japanese yen). The full amount of the reservation must be paid when checking in. All rates are fixed and cannot be discounted. For security reasons, only guests staying at this hotel are allowed in the guest rooms. Please note friends and family members visiting the guests are not permitted in the guest rooms. Check-in before 16:00 is not possible. Luggage storage is offered free of charge from 08:00 on the check-in date. Luggage storage is available free of charge until 16:00 after check-out Monday-Friday. Please note that luggage storage will not be available after check-out on Saturdays and Sundays. At an additional charge, luggage can be delivered to Kyoto Station. To cancel or modify your booking, you must do so through your account on booking.com or via booking.com customer service. I had expected that all ryokans offered a meal but didn't learn this wasn't an option until check in - I thought perhaps because of my last minute booking that I needed to make that arrangement on site, but alas, no meals are available. Breakfast was not at accommodation. No breakfast - but there are outlets nearby and the main station with loads of eateries is only 10 minutes walk. 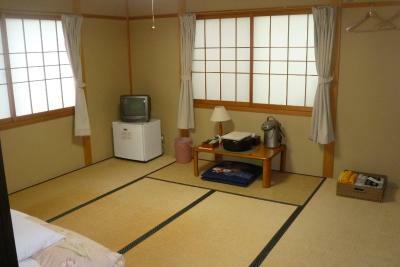 If you are looking for a traditional style Ryokan accommodation this will suit you well. Room was quite modern and bright with a/c, kettle, fridge, tv etc. The house decrorated in a very traditional way. Staff is so friendly and offers very customized service. The staff is very nice and helpful. They help us to book restaurant and make sure we get enough information about the booking. Also, they guide us the neighborhood around which make us feel comfortable to walk around. 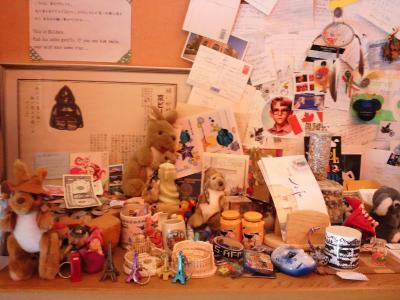 The room and the place is spotlessly clean. One might not like the location as it is far from the downtown. But on the other hand, it is 10 minutes walk from the Kyoto station, which was very convenient for us. Staff are very helpful very kind. No bidet at the toilet inisde the room because the shower and toilet is separate but its fine. We got to experience the traditional Japanese style room with kimonos. Also, their yukatas are awesome we got to wear it before heading for the onsen bath. Bear in mind that the property only accepts cash at checkin. Japan was more cash-heavy than we thought hence required us to spend extra on cash withdrawal. Very understanding that we didn't know their policy however and gave us extra time to go get the cash. During Jan they served hot tea to us after we arrived back from a day of exploring in Kyoto and would also serve us cold tea after using the onsen. Definitely make use of the onsen after a day of moving around. Also took a polaroid picture of us two as we were leaving. Location a bit far from metro. Maybe not fit for big family with big luggage.